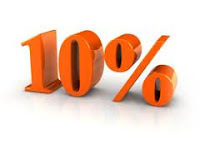 DIY Income Investor: 10% Yield! A 10% yield is a big yield for any small investor. It is also too much and indicates that the market perceives significant risk. But locking in a 10% yield for 10 years is an attractive option. So, how risky is 'risky'? In other words, a corporate bond issued originally by the building society/bank Halifax, with a coupon of 9.375% and maturity in 2021 (when - in theory - you might get your money back), which can be purchased at just under par - giving an income and redemption yield of over 10%. The risk is, of course, by association. Halifax is a trading name of Bank of Scotland plc, which in turn is one of Lloyds Banking Group plc's group companies. And this a Subordinated 'Lower Tier 2' bond, putting you quite a way down the line of creditors in case of a failure. The Listing Particulars are given here and the Offering Circular here. (Good luck!) The Bond is a liability of the Bank of Scotland plc ("BOS"). The relevance of this is that the "solvency test" and the "dividend test" (see above) both relate to BOS plc and not the balance sheet or any dividend payments made by the ultimate parent company Lloyds Group plc or the immediate holding company, HBOS plc. So a bit tricky. But consider this: if the Euro crisis is resolved, which market sector will benefit most? Banking maybe? And with a huge stake of Lloyds held by the UK Government, is it really going to fail? Food for thought - as always any decision is a battle between greed and fear. I think I might take a very small £2000 punt on this. I think Lloyds is pretty safe and for a 10% return I'm willing to take the risk with my limited cash resources free at the moment. Hopefully I can purchase this through Sippdeal for my pension pot. Hi DeeJay - was this available via SippDeal? I might follow suit.